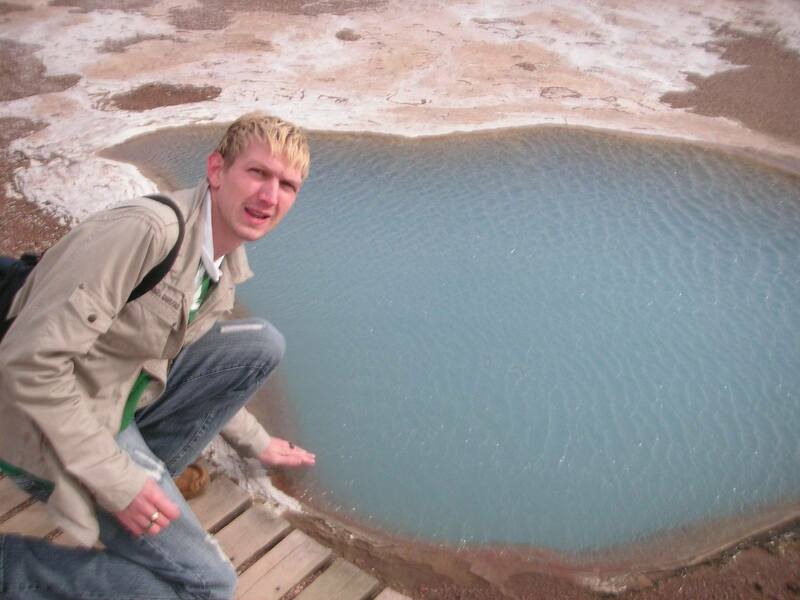 Back in 2007, I visited Iceland for the first time and didn’t know what to expect. I had heard that it was a country of pure natural beauty which was worth exploring beyond the city of Reykjavik. So, despite having based myself in the country’s capital, I headed out to explore other parts of the country that could be reached mostly by car. You can find rental cars in Iceland here. I hired a guide and off we went to explore. As soon as we left Reykjavik behind, the beauty was clear for all to see and I couldn’t take my eyes off the breathtaking countryside. It was a truly epic week long trip and one that will live long in my memory. The remote and isolated parts we toured had a real beauty and inspiration about them. There was a pure wilderness and a sense of peace in the countryside. I found the locals very helpful also and recommend using Guide to Iceland on your trip to this inspiring country. You will be well looked after and you should be able to see all the sights you want with a minimum of fuss and with plenty of information about the country’s history. Although I loved all of it these are my top five highlights from my time in Iceland, and I can’t wait to visit again someday. Gullfoss is magical. There is no other way to describe it. The gushing waters of this countryside waterfall are a joy to watch. The natural endless flow of pure water crashes down below, onto rocks and a glorious river. Gullfoss marvels in its own glory, leaving behind it skies of mystery, fields of green and landscape so formidable that even professional photographers dare not alter their original images. This is easily one of the most incredible waterfalls in the world. Gullfoss, Geysir and Þingvellir National Park all make up the Golden Circle sightseeing tour, that you can do in just one day. To see a natural water blast shooting out of the ground with intense vigour is a sight to behold. Not only is there a large geyser, Strokkur, which attracts all the tourists, but there are other smaller geysers and hot springs in parts of Iceland. I enjoyed seeing the Great Geysir as I had heard this was the first geyser to be mentioned in a European text. It was a special moment to see the water erupt for the first time here. After my trip, friends were asking if the Blue Lagoon is really blue. The fact is – yes this is a natural blue lagoon and it’s stunning. These days of course the Blue Lagoon has been turned into a large leisure complex which features bridges, saunas and a café. This doesn’t take away from the fascinating nature of the place for me, as it proves that the Blue Lagoon is well preserved, maintained and looked after. Once you dip into that therapeutic water, which has natural heat and healing abilities, you can truly relax in one of northern Europe’s most incredible experiences. It’s also an amazing contrast between the chilly air outside and the hot water. See Also: The Ultimate Guide to the Blue Lagoon. Þingvellir, which is pronounced like “Thingvellir” was a surprising highlight. This countryside settlement has a museum and a walking trail but there is history within. Although Þingvellir these days in a national park, the historical relevance was much more interesting. It was here back in 930 AD that the national parliament of Iceland was formed. After a tour of the museum at Þingvellir, the walk through the rivers and flat, green countryside makes for a soothing and calm experience. Finally at the end of my trip, I returned to the capital city, Reykjavik. It was here that I loved the city’s huge church, Hallgrimskirkja, which is so prominent that it is virtually unmissable. This huge church, which towers over the city offers sublime views from the top and is an artistic gem for almost every tourist that passes by. It is a Lutheran church which was completed in 1986 and has also been renovated in the last decade. Iceland is a wonderful country and I am proud to have visited it. With more and more flight companies going in and out now, and the excellent tours offered on Guide to Iceland, it is a perfect time to visit. I recommend spending around a week here, to take in as many of the country’s main sights as possible and to also get off the beaten track. With the country’s recent success on the football field, there is an unmistakable buzz about the place these days. And yet I didn’t even mention the craters, the volcanic activity or the magnificent northern lights viewing possibilities, there is a lot to explore here.